KMAT also known as Karnataka Management Aptitute Test. 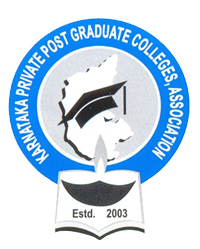 KMAT 2019 is conducted by Karnataka Private Post Graduate Colleges' Association, Karnataka. The dates mentioned below is a tentative schedule of KMAT Karnataka 2019. The official notice regarding KMAT Karnataka 2019 has not yet been released by the conducting authority. When is the counselling date and what are the documents required? The candidates 10 +2 marks card. KMAT 2018 application form fee payment copy. Special category document, if needed. The KMAT 2018 admit card. The Deadline for Online Application submission date is 21st July 2018. Exam Centers for KMAT 2018 and important dates? You can go to the important dates and exam centers sections. This will clarify your doubts. By when should the online application form be submitted? The online application forms should be submitted by the second week of May 2017.